Accounts Payable: We enter invoices (and only ones that you have approved) and provide you with reports showing what EXACTLY you owe, and when it is due to be paid. Based on your preference for when checks should be cut (weekly, monthly, or at your whim) we will produce the checks, match stubs to invoices, and present you with a package ready for your signature and to be mailed. We can provide processes to track W9's and Certificates of Insurance from your vendors. Finally, come year end we'll be ready and able to print and mail the 1099 forms to your applicable vendors. Accounts Receivable: We can handle all billing, statements, collections and cash receipts tracking. We create all invoices inclusive of product billings, service billings, AIA and progress billings on an as needed basis. Checks can be sent to our office, and then deposited into a local bank with a daily report sent to you of monies received. We keep a copy of all checks for your review and then post them against the appropriate invoice as our records indicate. A deposit recap report is emailed to you with the current balance of your cash account per our records. Credit cards processing services are also available. We file sales and use tax reports/payments for as many states as are required. Finally, we can help collect your past-due dollars. Calling, tracking and reporting help you know the status of the money you are owed. Payroll: We provide full service payroll functionality. You give us the time worked and we take it from there, including direct deposit, payroll checks, tax filing and payments. Quarterly reports are filed on time and we will be ready to provide year-end W-2's and reports as required by law. We can track hours worked, sick and vacation time as well as any other payroll accruals relative to your business. Job Cost: We provide cost tracking services for jobs, including labor, material and subcontract expense. We reconcile job cost to the general ledger on a monthly basis to insure accuracy. Finally we provide you with valid job cost reports to help you see which jobs are making you money and how much. Inventory: We help you keep your inventory data accurate. We will work together with you to make sure that the data in the accounting system matches the inventory you phsyically have in your warehouse(s) and trucks. Bank & Credit Card Statement Reconciliation: We can reconcile as many bank/credit card statements as you have bank accounts. We report back to you any discrepancies and make sure you are up-to-date on where you stand. Cash Position and Alert Reporting: We provide you with reports on a consistent basis (daily, weekly, etc.) of your cash position and other vital business statistical info that you need to make decisions. We work with you to define exactly what information you need, how often you need it and the best delivery method. Monthly Financial Reporting: On a monthly basis, you will be provided with financial statements including a Balance Sheet, Income Statement and any other reports you deem necessary to completing your monthly financial picture. We work with you to help you decide what reports give you the most beneficial information. 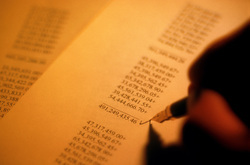 Annual Tax Reporting: We provide your CPA with the data they need to complete your tax returns. We can work directly with your CPA (or recommend one for you) to answer their questions and provide them with access to all the information they need...and we do this in a timely manner.